Bad news! No, I’m not talking about the Grand Opening of the government, I’m talking about the latest research on (drum roll please)… OREOS! Yes, this tasty snack, invented more than a century ago, is more addictive than cocaine or morphine. According to a study, rats that were fed Oreos had their pleasure centers stimulated (lucky rats) to a greater degree than those fed morphine or cocaine and the rats showed an “Oreo” bias. The study concluded that sugar and fat TASTE GOOD! Really? We here at TV’s Weblog join the growing concern over good tasting food. We have a proposal for you America. We need a WAR ON TASTE! No, we’re not talking about Project Runway, we’re talking food. We think it could work. Just look at our stellar results on The War on Drugs and The War on Poverty! Of course there are going to be drawbacks. Violence may increase as Snack Cartels fight over turf for the fat & sugar trade, but all wars have casualties. 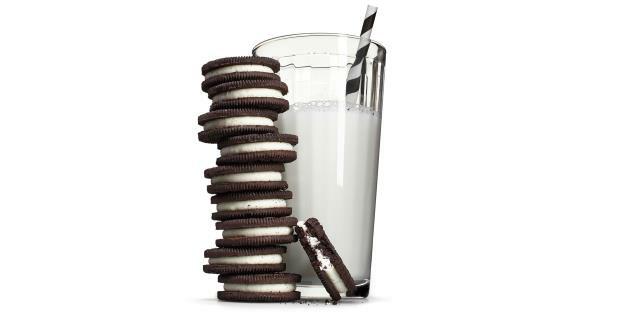 We will have to learn new lingo as Oreos acquire street names such as “black-n-whites” or Vanilla Oreos may become “blondies”, but we’ll figure it out. We’ll draw on the “street smarts” of our couch potato confidential informants. It will work. P.S.- Oreo’s Double Stuff is a lie! Truth is the first casualty of war.